A milk sealing machine specially desigd for Chocolate cup auto filling and sealing machine. The new technology of this machine is designed by our factory, which get the technical patent. A highly automated soybean milk sealing machine. 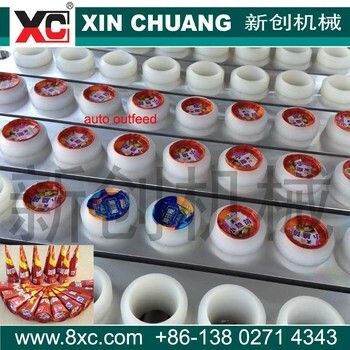 The operation cycle, from cup feeding, filling, sealing to product outfeed are fully automatically performed. It's a necessity in mass production line ! All machine materials are made of SS#304, PLC control with touch screen, servo motor driving, double chain with best sprocket, high precision speed reducer,pneumatic control, photoelectric switch. Easy to operate, high speed to improve production efficiency and lower the production cost, reduce the labor, less Maintain, easy to clean, lower Noisy... Longer Life to 10 years. 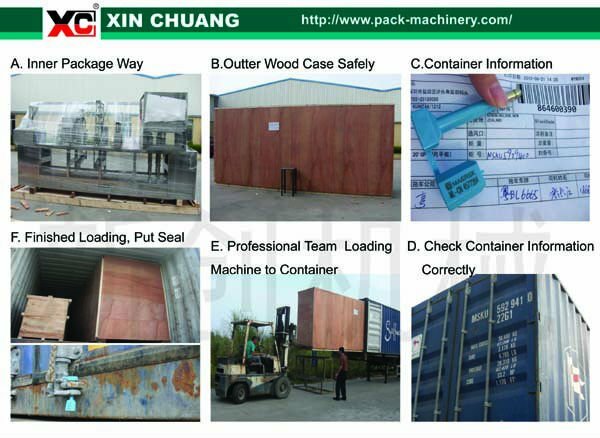 We can make machine according to the customer's special requirements! It's simple to be a winner, work with winners! Welcome to visit our factory at any time!